UPDATE-NEW ROOF! 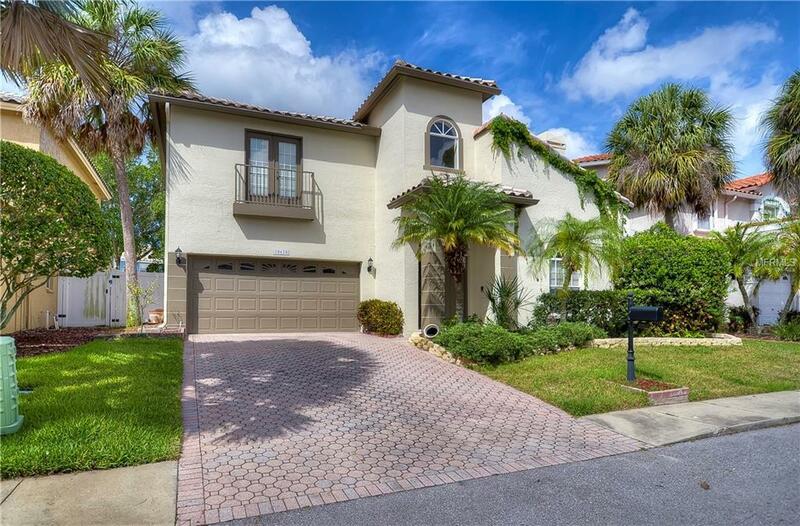 Welcome to this updated 3/2.5 plus office POOL home in Gated Palm Bay. Enjoy Tampa Bay and Gulf of Mexico BOATING ACCESS from the neighborhood ramp! 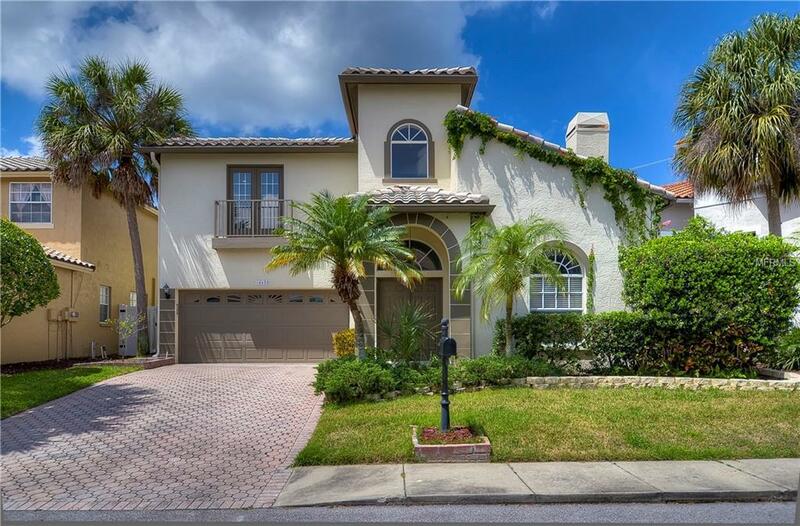 This exclusive waterfront community is located at the top of Old Tampa Bay, surrounded by water and natural conservation offering marina, private boat ramp & lift, as well as basketball & tennis courts, dog park, playground & private sandy beach area with volleyball court. This home has a great open floor plan, with lots of windows and light streaming in. Enter through the double entry doors into the foyer with soaring 20ft ceilings leading into the formal living and dining room featuring fireplace, architectural details and spacious office with French doors. The gourmet kitchen offers premium designer wood cabinetry. The family room overlooks the enclosed pool. The master suite has an updated luxurious private master bathroom with custom tile shower and soaking jet tub. Second and third bedrooms share Jack and Jill bathroom. Third Bedroom has French Doors to the Balcony. 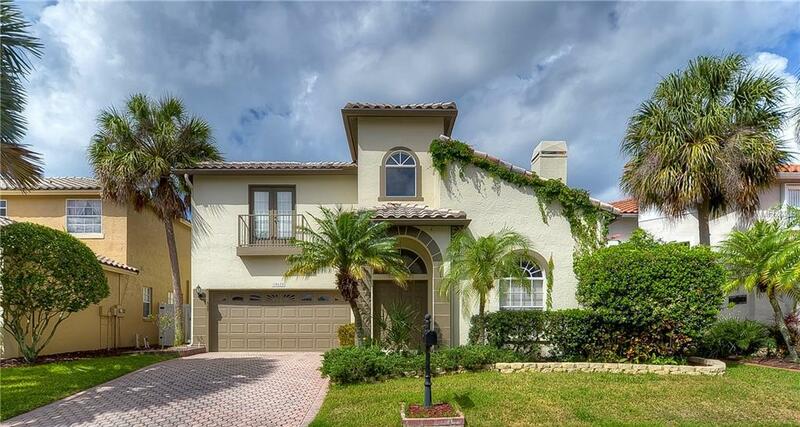 This gorgeous home has engineered wood floors throughout with travertine tile in wet areas of the first floor. 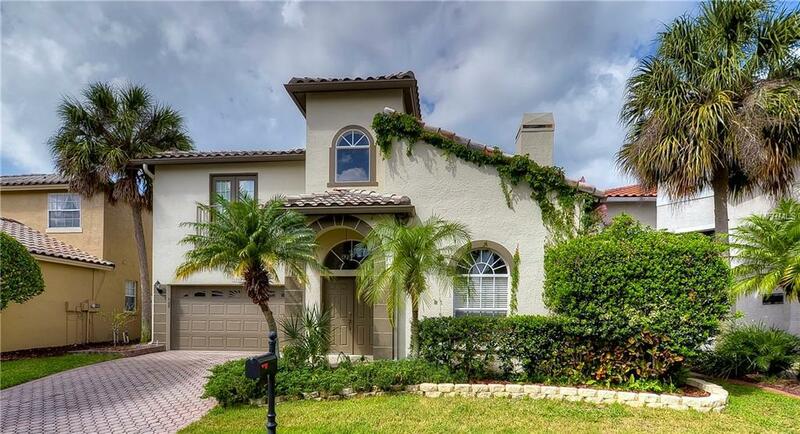 This immaculate updated home must be seen to be appreciated! Enjoy neighborhood block parties, pig roasts, wine tasting, international and poker nights, progressive dinners and active social life. Great location, close to airport, Westchase, shops, banks, fine area restaurants, hospitals and the easy access to both sides of the bay! CDD included in taxes. Additional Water Information Community Fresh Water Boat Basin With Owned Docks Tie Up Area And Boat Ramp. Use Of Community Sling Lift To Move Boat From Basin To Salt Water Canal To Access Tampa Bay.